Hello there! I’m currently writing on a very rainy and dull Monday evening, so I thought I’d blog about something a little bit different! If you’ve been reading for a while you’d know I usually like to blog about things lifestyle/health/mental health, but every now and then there’s other things I want to talk about, particularly if I feel like sharing something new. 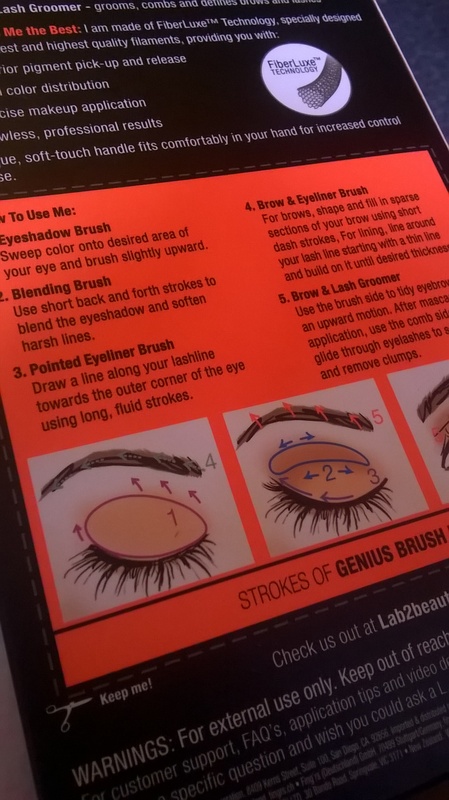 Though I don’t blog about makeup/beauty (well, not very often, anyway!) 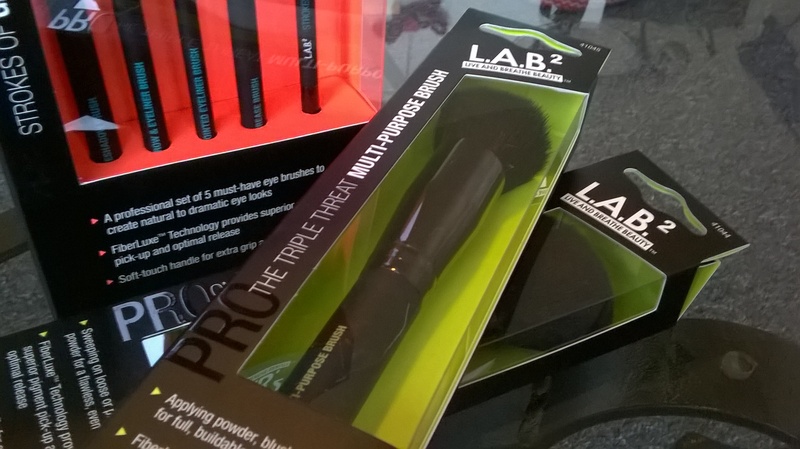 I recently had the opportunity to try out some of Lab2’s makeup brushes, and I have to say I’m thoroughly impressed! Because we were oh-so-lucky, we received three different sets: I know, it felt like Christmas day! 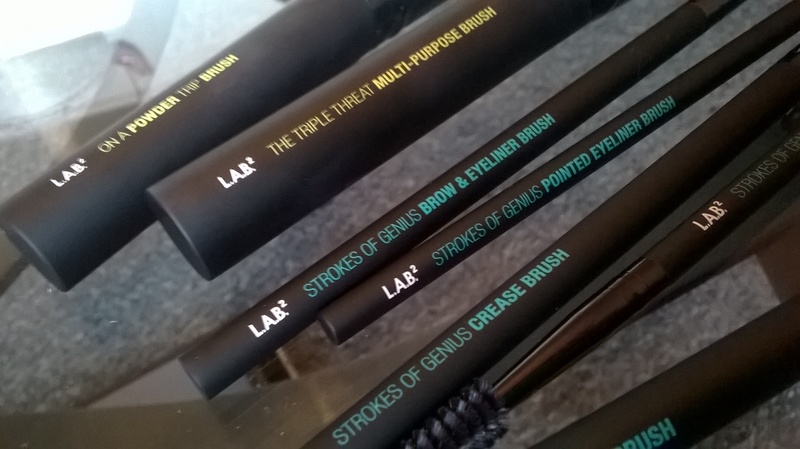 Here we have ‘The Triple Threat Multi Purpose Brush’, the ‘On a Powder Trip’ brush, and the ‘Strokes of Genius’ eye brush set…wow! 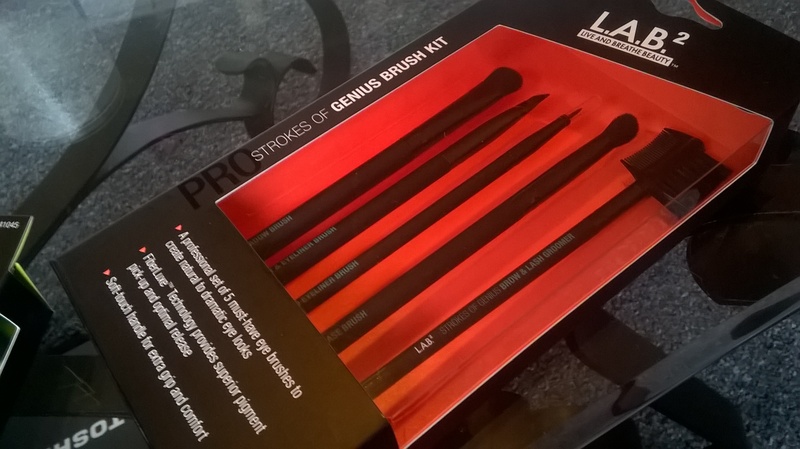 Above we have the ‘Strokes of Genius’ brush set, which contains a whopping 5 different brushes (and one of which is double-ended) and is the perfect variety of brushes for applying all sorts of eye makeup. First things first; the packaging. I think overall the packaging is really effective. It’s eye-catching, professional, and oh-so sleek. The matte black outer of the boxes gives the product real high-end appeal, and I love the flashes of fluorescent orange card as a welcome contrast to the black on the inside. What is also rather lovely is the added instructions on the back (which you can also cut out and keep) and overall I think the design is rather modern and fun. 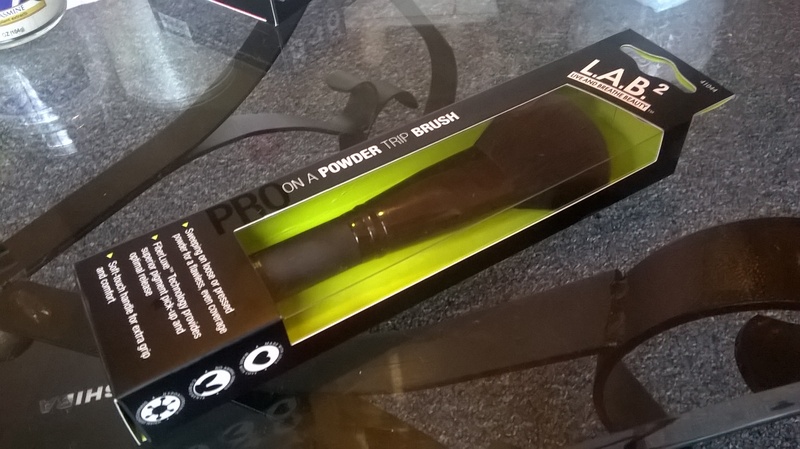 The packaging is very similar for both the ‘On a Powder Trip’ brush (as above) and the ‘Triple Threat’ brush, albeit for a few minor details. Again, they look really sleek and smart, and the contrast of colours is sure to be eye-catching sitting on a shelf! The ‘On A Powder Trip’ brush is lovely and fluffy, whilst the ‘Triple Threat’ (below) is great for contouring with its angled edges and flat top. 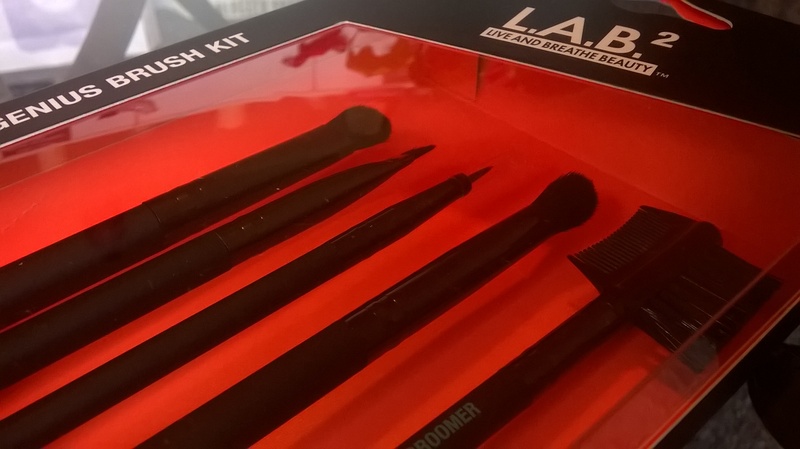 What is really fabulous about these brushes is how soft the bristles are; they feel really luxurious on the face, though I do have to admit the ‘On a Powder Trip’ brush did shed on initial use. However, since the initial use it has stopped shedding completely. 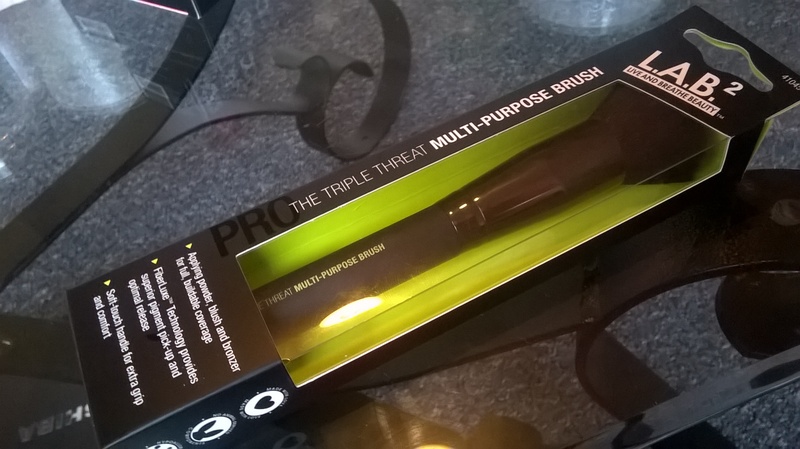 The handles of the brushes are soft and coated with a matte and easily-holdable (is that a word?!) coating. What is really useful is that each of the brushes is labelled on the handle, so you’ll always know what they’re meant for. The brushes use ‘Fiber-luxe’ technology, which is why they’re so soft on the skin whilst ensuring an even application with very little fall out, which is always a bonus. 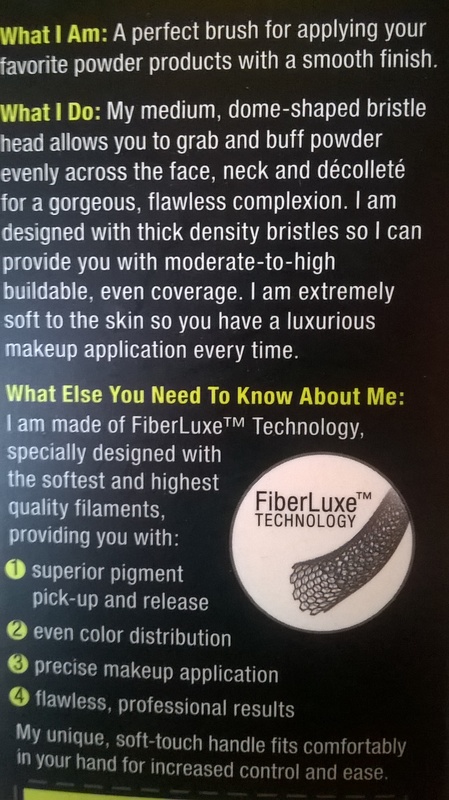 This is all explained on the package, which is very useful if you really want to be sure of what you’re buying! 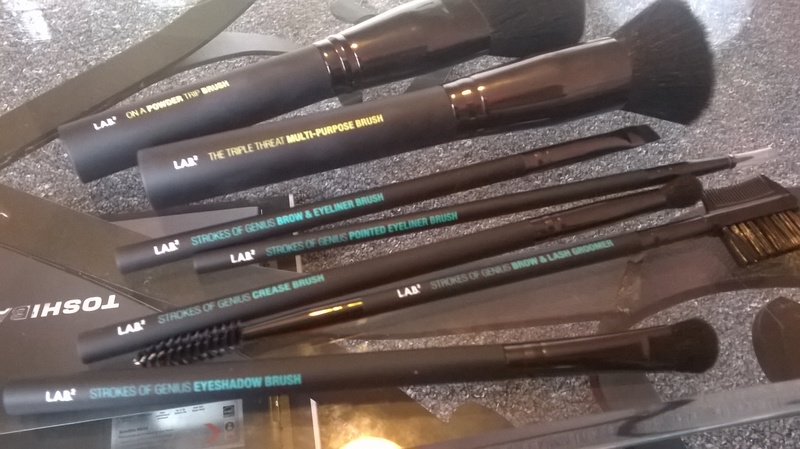 All-in-all I think these brushes would be fabulous gift or a little treat to yourself. 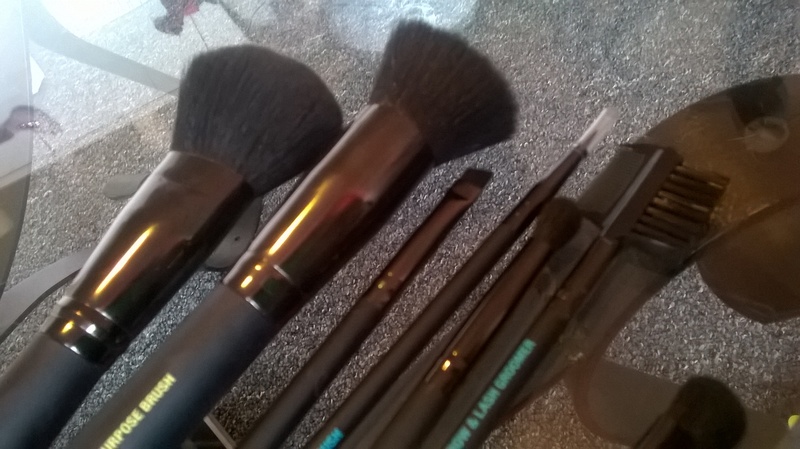 I’ve always been loyal to ecotools and have a great selection of their brushes, but it’s great to widen my horizons a little bit and try something new and I’m sure these brushes will have a place on my dressing table for months to come! Let me know if you decide to try these. I hope you’ll love them just as much as I do. Check them out over on Superdrug ; there’s a sale on them at the minute so have a look and grab a bargain! I really liked this post because the brushes look beautiful and the pictures show them off really well. I’m always looking for new makeup brushes to try out and I think these will be next on my wish list – thank you for this.